Sometimes our hard work does not come to fruition. 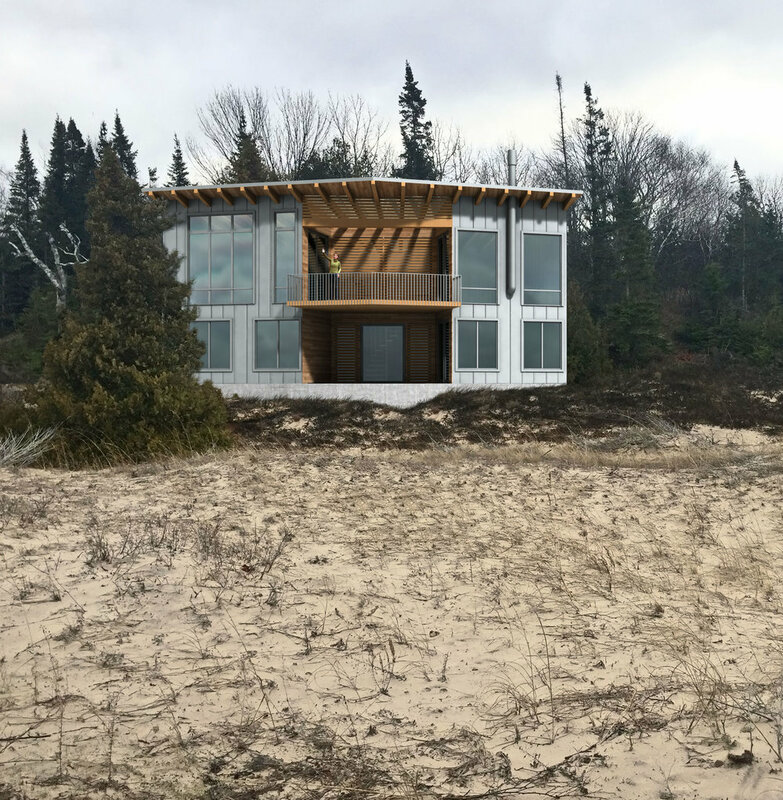 Here is a very early rendering project we helped a client develop over 2 years in Northern Michigan. This was a close and fun working collaboration with our clients to locate a weekend “cabin” on a beach along Lake Michigan. The property had amazing views to the West towards the Leelanaw Peninsula and the end of Grand Traverse Bay. The house was approached through the woods - creating a sequence of experiences intended to decompress and create a sense of anticipation. Set into a wooded dune, this house would have created a veiling of the lake, with glimpses of the light reached only when stepping into one of the two Upper Level Living Spaces. Bedrooms had direct access to the Beach and were placed below the Main Living Areas.